Limited to 200 copies for sale, no CD format, vinyl only. 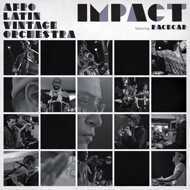 the Afro Latin Vintage Orchestra returns with another hip hop colored LP, featuring Racecar. A radical psychotherapy for music lovers and diggers in quest of musical horizons from outer space and time.